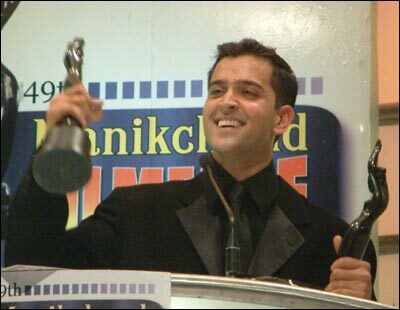 A jubilant Hrithik Roshan shows off his two Filmfare Awards - Best Actor and Critics' Award. 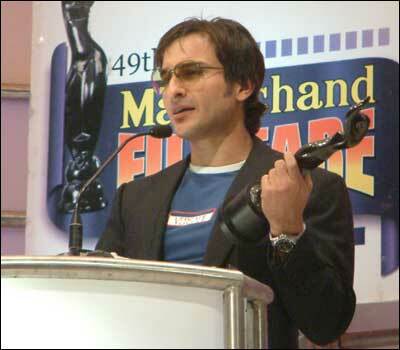 Preity Zinta ( KHNH ) and Hrithik Roshan ( Koi Mil Gaya ) won the best actress and best actor Filmfare award on Saturday. 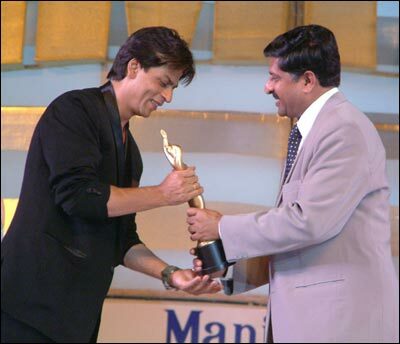 Saif Ali Khan with his Best Actor in a Supporting Role in the movie Kal Ho Na Ho .